The Customers page shows you all of your customers, and lets you edit customers, edit their subscriptions, and find customers. 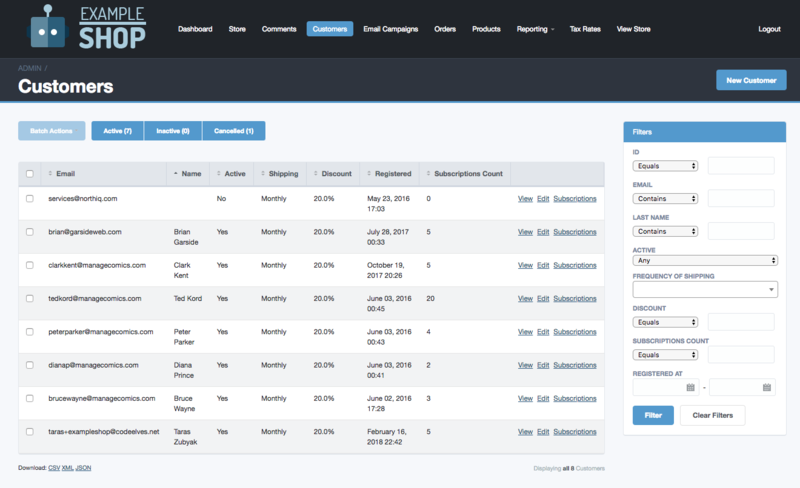 You can view a customer, edit them (to change information, or add notes), or edit their subscriptions. The button on the far right above the filters lets you add a new customer. The filters along the right hand side allow you to search for a customer by email address, last name, active and inactive, and a few other dimensions. If you have questions, use the button below to send us a request and we’ll get back to you as soon as possible.